UAE-Dubai: MaK Middle East LLC, a Caterpillar company established in 2017, recently announced the opening of its new workshop in Dubai Maritime City to provide product support services in the Middle East region for Caterpillar’s MaK, CM and EMD branded medium speed engines. The new workshop will cater to customer needs for high quality factory after-sales support in the region. 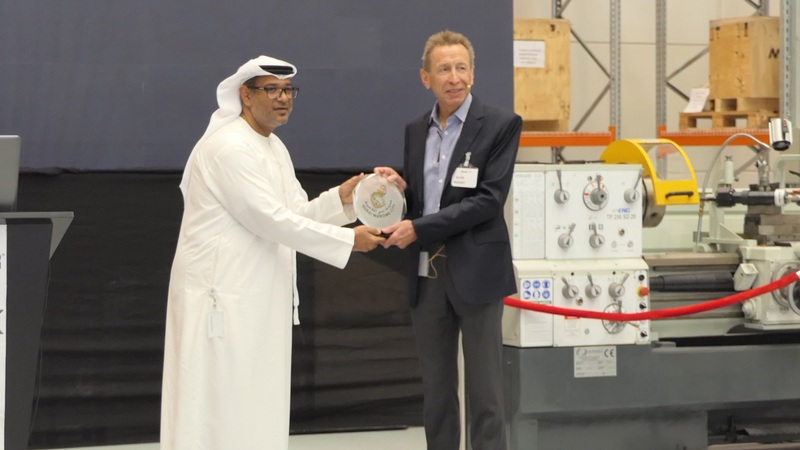 The official opening of the facility was attended by owners and operators of MaK, CM and EMD engines as well as top management from Dubai Maritime City who toured the new workshop and were given an insight into its main capabilities. MaK Middle East LLC is a Caterpillar company under parent Caterpillar Motoren GmbH and is exclusively focused on parts and services for Caterpillar’s medium speed engine brands MaK, CM and EMD in the Middle East. The creation of MaK Middle East replicates the successful business model of the wholly owned “MaK Asia” with its legal entities in China and Singapore. Additionally, MaK Middle East is factory authorized to service Napier turbochargers. With resident service engineers, workshop overhaul capability, service exchange units and new parts inventory, customers can turn to this highly specialized Caterpillar organization to keep their MaK, CM and EMD powered equipment running. MaK Middle East is headquartered in the Marine Business Center of Dubai Maritime City with a branch in Fujairah, UAE.